It’s time to talk about writers who lived abroad. I want to start with a Canadian writer who left home to write and never moved back. She was given the name Sarah Janet Duncan, but she didn’t write under it, choosing instead Sara Jeannette Duncan, at times using her married name Mrs Everard Cotes, and the pen names Garth Grafton or Jane Wintergreen or V. Cecil Cotes. 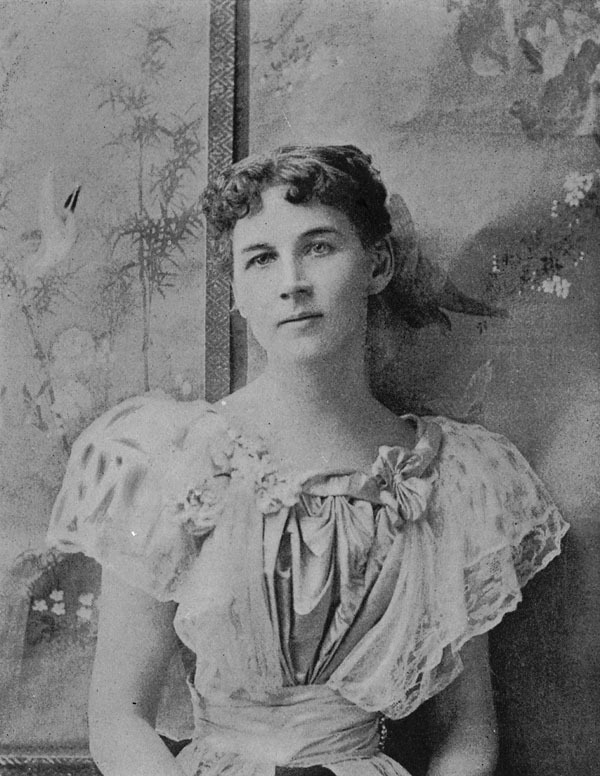 Best known in Canada for her novel The Imperialist, she began her career by writing about the World’s Industrial and Cotton Centennial exposition in New Orleans for a Canadian newspaper. She went on from there to write a newspaper series about a trip around the world, which she later rewrote as a novel. During that trip she met Everard Cotes, who worked in India. After they married, she settled there and continued to write both journalism and fiction. She also retreated to her house in London from 1915 onward. She and her husband retired to Ashtead, Surrey, in 1921, where she died a year later. Her death has been attributed to her chronic lung problems (tuberculosis, emphysema) and was possibly from pneumonia. I read her collection A Pool in the Desert while I was in India (for three years, long enough to exacerbate my own lung problems), so it seems fitting that in London I should read her fiction set here. I went to my local library and requested Cousin Cinderella; or, a Canadian girl in London (1908) and the earlier A Social Departure: how Orthodocia and I went around the world by ourselves (1890). I didn’t really expect the Royal Borough of Kensington and Chelsea library to find them for me; I expected to be directed to the British Library or the London Library. But the books have arrived, as reprints, Cousin Cinderella by General Publishing and A Social Departure by Nabu Public Domain reprints. Although Duncan’s house in London was in Chelsea, she is not listed in the index of London’s blue plaques (mounted on buildings to identify which important personage once lived there). Because one purpose of this website is to create a record, I want to find where she lived and put up a photo of it. The question now is: how do I go about finding her address? I enjoyed Sara Jeanette Duncan’s story. I encountered her writing in my Can Lit class at the University Of Ottawa under the fabulous direction of Prof. Gerald Lynch and was immediately taken with her career trajectory and her myriad travels. She’s an under-appreciated jewel. As for finding her house in London, I know there are several literary atlases of London and you might find her listed there. Failing that the city may have a record — under her hubbie’s name, of course, the times being what they were. Perhaps you could compile a literary atlas of expat Canadians in London!